ooh - where has it gone? Where exactly has September gone to? I think someone actually stole a few of the days because it ends tonight. I have been rather busy I guess and in a week's time we will be off to London for Ally Pally - a day earlier we leave because in their wisdom, the new owners decided that not just a night opening, they would go for an extra day. Let's see how it translates. SO we do the usual - fly in on Tuesday very early - catch the blue line to Wood Green - hop off the train and lug the suitcases to the bus to Ally Pally - drag the suitcases up the hill and spend the day setting up - go to our digs in Crouch End - have some dinner - go to bed and get up in the morning and off to work. We are looking forward to it though. 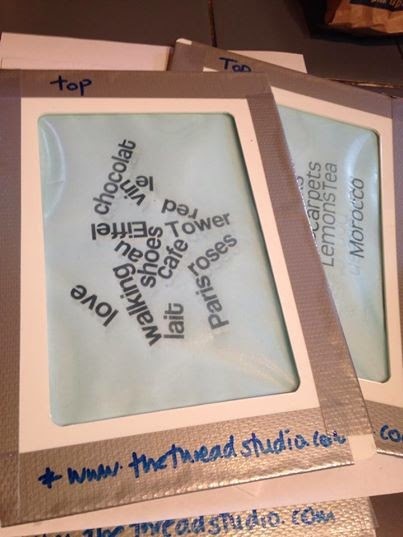 I have been finally making some thermofax screens - most of these are for my Artful Journey Club people but I will have a few at Ally Pally and they will get onto the web before too long. 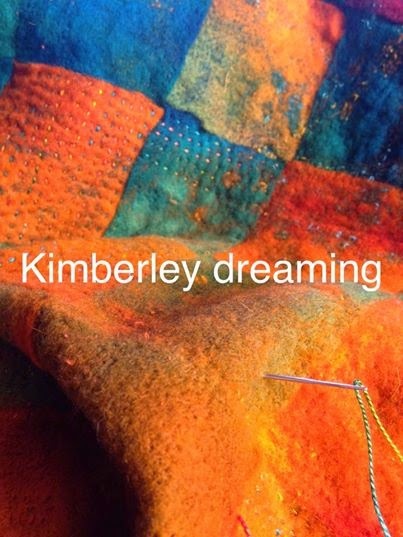 One of the things I have found a wee bit of time for is to play with Kimberley Dreaming - I have taken my Flimsie and woven it. Then I have started stitching on the background - I did create some added texture using the embellisher but I want to stitch up the background before I start adding more goodies. I am hoping I might get all the ground stitching done - ha - before we go so I get a chance to add more fibres etc. I love the therapeutic rhythmic stitching. Plus it has given me some ideas for tiny 9 patch works but not quite yet. And did I mention that Kimberley Dreaming - the Broome Retreat - is up on air http://www.thethreadstudio.com/Broome/Broome_Retreat.pdf - all the information is here - hope you can join us - it will be a fab weekend. I have so many ideas planned and in the head. During the month I popped over to New Zealand once again - this time sadly for my brother Lewis' funeral. The nasty C word seems to spoil a lot of people's lives and I guess we had got quite close this past year - he and I were working away on the family tree. I didn't go to either of my parents funerals and made a fairly quick decision to go - Grant flew over from Sydney as well which was lovely. I am the youngest of our clan and Lewis was the first to die. It was good catching up with some of the cousins - the ones who came. I put quite a lot of effort into researching the family - and the Rollerson family - certainly keeps me out of mischief and I am gathering stuff for my plan to create my Letters to the Grannies - Lewis was more interested in the men of the Dustin family. 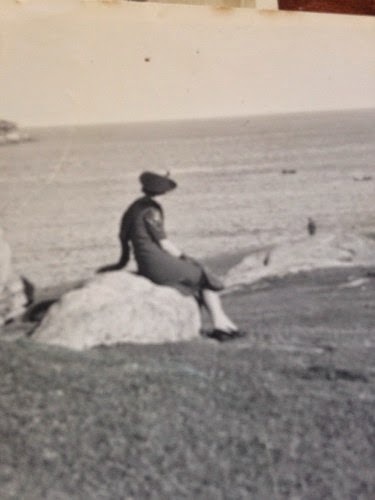 I never saw my mother posing but I found this photo and thought I would use it - not am image I ever saw but I think it was taken on their trip to Australia in 1939 - Lewis was conceived on the Wanganella I do believe. 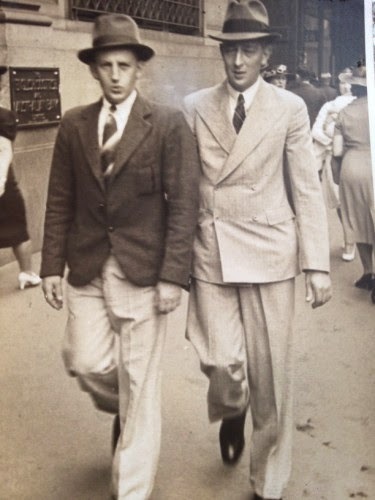 Here is my father on the left - a bit of a dandy you might say. I hardly remember him not wearing a suit or a jacket and a hat - one of his hats is here somewhere. How time have changed. 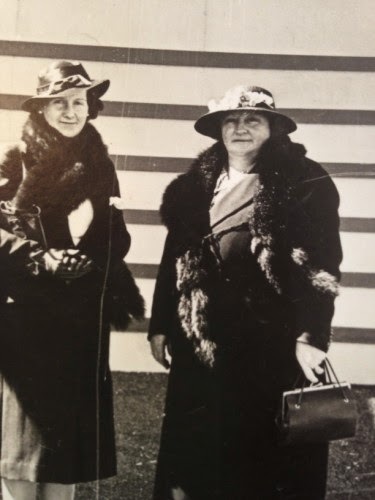 And my mother and mother-in-law - Ethel - hard work tracking her back ground - her maiden name was Smith which is still the most popular name in New Zealand. So photos like these are treasures. 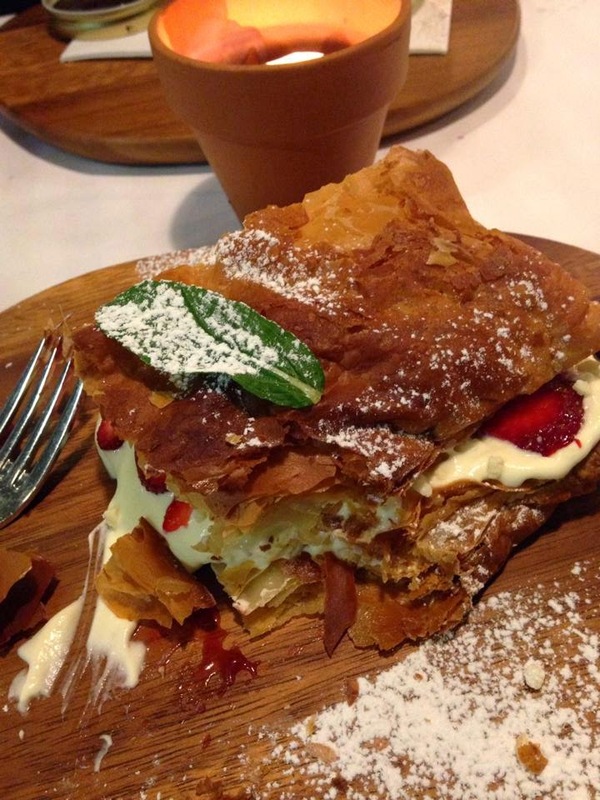 Finally - this was my dessert the other night and it was wonderful.